SR 46 to Legion Rd. House on left. Sign on. 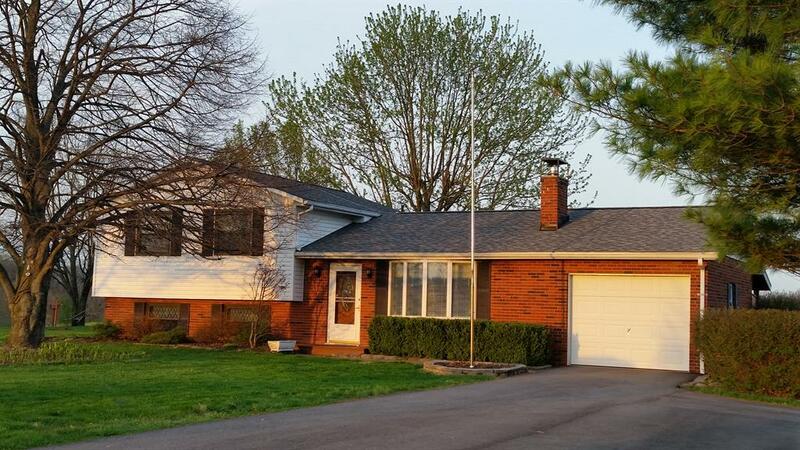 Quiet country setting surrounds this well maintained 3 bedroom 1.5 bath tri-level on a beautiful 2 acre lot. Features LR w/wbfp, eat-in country kitchen, LL family room. 1 car attached garage, 20x20 detached garage. 18x30 barn/workshop, 12x14 yard barn. East Central High School. Must See!